The federal government is warning the owners of a troubled nuclear power plant in Georgia that any move to cancel a planned expansion would lead to demands for quick repayment of nearly $6 billion in federal loans. In a letter to the plant’s three owners, the Department of Energy said late Friday that if the construction project is canceled, the government is prepared to enforce its rights under terms of a loan guarantee agreement, including repayment. The letter says the two additional reactors being built at Plant Vogtle are a “linchpin” in the nation’s energy strategy. The government has disbursed $5.6 billion of an $8.3 billion loan guarantee approved during the Obama administration. The reactors are about 30 miles (50 kilometers) south of Augusta and are the nation’s first large-scale nuclear project in more than 30 years. A group of Georgia lawmakers wants a “cost cap” in the construction of a nuclear power plant near Augusta, seeking to protect blown budgets from being passed on to consumers. 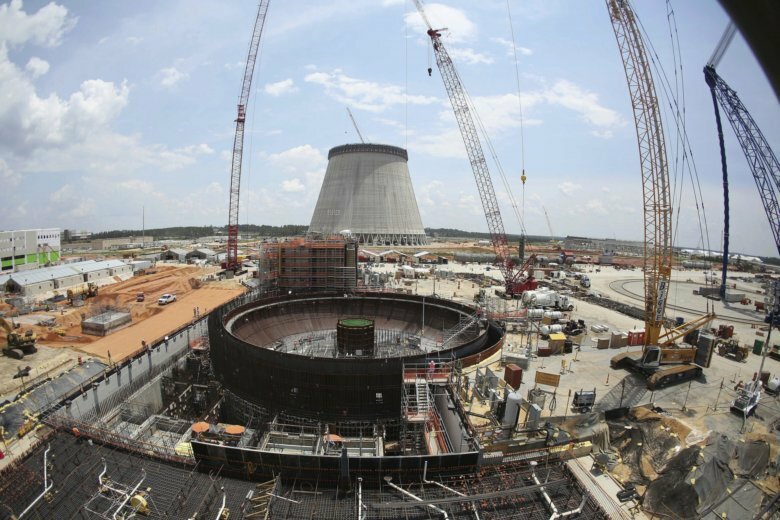 Two reactors being built at Plant Vogtle are billions of dollars over budget. The plant’s owners recently learned another $2.3 billion was needed. That initiated a clause in the ownership agreement under which ninety percent of the ownership must agree to move forward or the project would be abandoned. Georgia Power’s parent company pledged that its shareholders would absorb its share of the costs. That leaves other owners including Oglethorpe Power and Municipal Electric Authority of Georgia with a decision: pay up or pull out. The lawmakers say the other organizations don’t have shareholders to absorb the costs and would likely need to increase rates.